ExploreLearning Gizmos provides over 400 math and science online simulations that power inquiry and understanding. It has a free Gizmos account available for science and math educators with a curated collection of Gizmos that change every January/July. 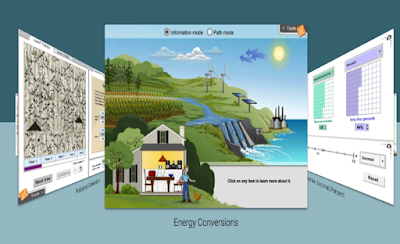 Aligned to NGSS and state standards, each Gizmo comes with teacher guides and customizable lesson materials to help teachers and students delve deeper into the material. 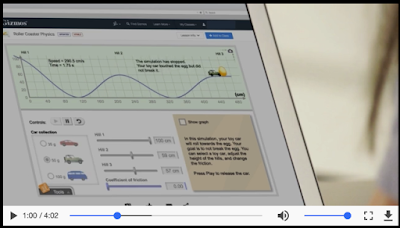 Some of the major features of Gizmos include: interactive design which allows for extensive manipulation of variables and ‘what-if’ experimentation; visualizations and graphing tools help capture and compare results from experiments; in-depth activities create more moments to explore, discover and apply new concepts. Watch the video below to learn more about Gizmos.